Polynomial configurations in fractal sets: Kevin Henriot, Malabika Pramanik and I have posted a paper where we prove the following result: if a measure μ on a fractal set E in Rn has Fourier decay with some exponent β, and if it also obeys a ball condition with exponent α close enough to n (depending on β and on the constants in both conditions), then it must contain nontrivial configurations given by certain types of systems of matrices with a polynomial term. This is somewhat similar to my earlier paper with Vincent Chan and Malabika Pramanik, on configurations given by systems of linear forms, but there are significant differences. One is of course the polynomial term: we use stationary phase estimates to control the corresponding part of the “counting form” Λ. (Interestingly, while said stationary estimates apply to functions much more general than polynomials, the polynomial form of the nonlinear term is required for the “continuous” estimates which are based on a number-theoretic argument.) Another is that any rate of Fourier decay β>0 suffices, with the caveat that α must be close enough to n, where “close enough” now depends on both the constants and β. This improvement is due to more efficient use of restriction estimates, and extends to the result with Chan and Pramanik as well as my earlier paper with Pramanik on 3-term arithmetic progressions in fractals. A recent result of Pablo Shmerkin shows that the dependence on constants cannot be removed: he proves, for example, that there exists a 1-dimensional (but of Lebesgue measure 0) Salem set on the line that does not contain a nontrivial 3-term arithmetic progression. Fractal Knapp examples: Kyle Hambrook and I have been asked on various occasions whether our “Knapp example” for fractal sets on the line could be extended to fractals in higher dimensions. In this paper, we combined our construction (with modifications due to Chen) and the classical Knapp example on the sphere to produce fractal Knapp examples of dimension between n-1 and n in Rn. My profile for Women in Maths: this was published a while ago, in case anyone here is interested. It’s been a while since I posted any photos here, so here’s one I took today. There will be more on my Google+ page. I grew up in Europe, on the other side of the Iron Curtain. I’ve often had to try to explain my country of origin to those born and raised on this side of the Atlantic. Facts can be learned. It’s the lack of imagination that can be the greater problem. It’s disbelief that learning is in fact needed. It’s making assumptions instead of asking questions. It’s demanding a simple picture where the truth is complex. It’s presuming social or political homogeneity where the reality is ripe in conflict and discord. It’s failing, or perhaps not wanting, to understand just how far the circumstances of a different time and place might be from the here and now. and to accept that, were we placed there and then, we would likely behave the same way as those who were in fact so placed. I’m neither a historian, nor a social scientist, nor willing to accept an unpaid second job. I can only do it in small steps, for my own pleasure. Even just for that, I needed a language that I could use. I needed examples and templates, in English, that I could try to work with. For a long time, I could not find what I wanted. English-language history books, for the most part, neither understood nor cared much about our life down on the ground. At the same time, I had too little in common with those Eastern European writers whose goal in writing was to distance themselves from their own background before witnesses who shared that background and, often, the distancing. That was not the argument I wanted to have. History has already passed judgement on communism and I’m satisfied enough with its verdict. I do, however, want to argue with those who view us with a mixture of pity and condescension, who consider the details of our history unimportant, who dismiss without looking the artistic and intellectual accomplishments of the Eastern Bloc as “couldn’t possibly have been any good,” who bounce the word “communism” here and there like a beach ball but have no idea how that system actually worked. I learned to give little thought to the walled-off parts of the city. 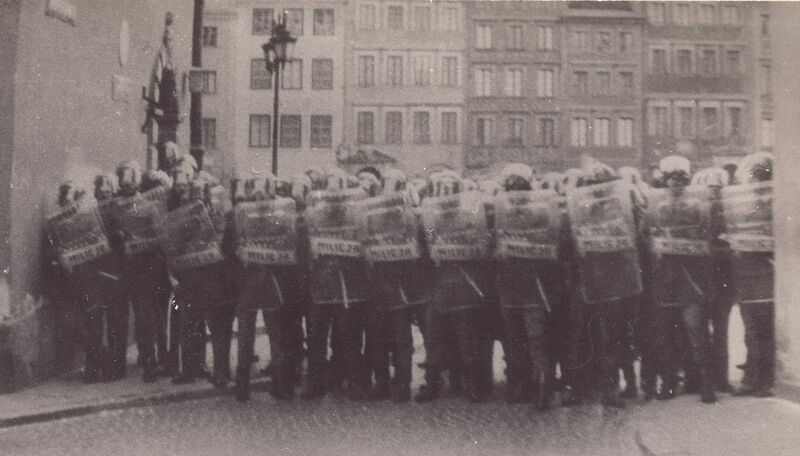 The [Soviet] soldiers were easy to ignore in my daily life: they marched through our streets on their way to or from exercises, but otherwise they and their families stayed within their gated communities. 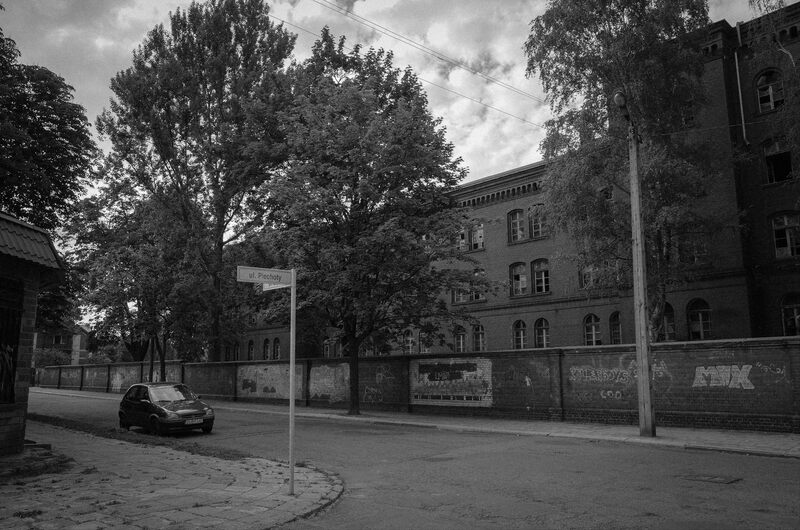 I grew up mocking the unkempt buildings with newspapers in place of window curtains, but also reading children’s books from the Russian bookstore, which was open to the public; as a university student, I returned there for mathematical monographs unavailable in Polish. We resented that the Soviet food stores were well stocked even when ours were empty. Poles, especially children, would sometimes sneak in and shop there: a guard might look the other way, a Russian woman might allow a Polish kid to come in with her. I dreamed of travelling the world, becoming a scientist or an astronaut, but did not know and probably could not imagine what it might be like to live in a city without the Soviet army. Everyone deserves to have local pride; it’s just that for a lot of black people in the South, getting to do that means having to swim in the racial messiness that comes with civic life there. The cultures of Southern black folks and Southern white folks have always been defined by a peculiar, complicated familiarity. That might explain why so many black folks have — by necessity — come to look on displays of the Confederate flag with something subtler than apoplexy, why Naima just rolled her eyes at the flags on her campus and moved on. Like a lot of black Southerners, she clearly had a lot more practice holding all of these ideas in her head at once than we Northerners do. The flag matters to her. Of course it matters. It’s just not the only thing that matters. The photos in this post are mine, from my visit to Poland in late May and early June. The full set, annotated and viewable as a slideshow, is available here. I have provided English-language links where I could, but much of the information I used is only available in Polish. I marked those links with an asterisk, to save you a click if you do not speak the language. 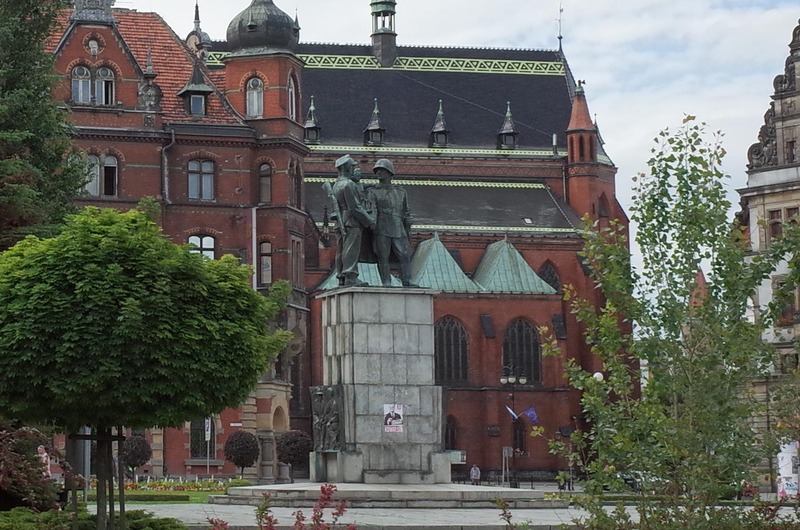 The Polish-Soviet Friendship (officially, Brothership-in-Arms) Monument in Legnica was built in 1951*. It stands in the Słowiański Square, right in the city center. Two soldiers, one Polish and one Soviet, shake hands while a little girl held by the Pole embraces both of them. Poland, invaded by Germany and the Soviet Union acting in agreement, then devastated in the conflict between them, occupied and plundered by both even as its soldiers fought on every front they could find, finally claimed by Stalin for his Soviet empire, had to be represented as a little girl with no memory, history or trust issues, happy in the care of her saviours. Of course the child had to be a girl. A boy might not project the same naivetė, helplessness or passivity. The monument is still there. I photographed it just a few weeks ago. The inscription, “To the Soviet Army heroes, from the people of the Legnica region,” had been removed in the 1990s and was never restored. The statue was vandalized repeatedly; past renovations notwithstanding, the neglect is palpable. From 1952 until the end of the Cold War, Legnica was home to the headquarters of the Soviet forces stationed in Poland*. From 1984 to 1990, it also hosted the central command of the Western Theatre of Strategic Operations of the Warsaw Pact: had the Pact attempted to invade Western Europe, the military directions would have been issued from there. Estimates point* to 80-100K Russian soldiers and civilians stationed in town and at various unmapped bases nearby at any given time. The precise numbers and locations were classified, as was the exact layout of the Soviet-occupied parts of the city, surrounded by walls and guarded by armed soldiers posted at each entrance. The largest one, the “Kwadrat” [Square], measured 39 hectares and was a miniature city within a city, self-sufficient with its own shops, hospitals, cinemas, pools and sport venues. In total, the Soviets occupied about a third of the city’s pre-war area. My departmental colleague Greg Martin has posted a paper entitled “Addressing the underrepresentation of women in mathematics conferences.” A comment and a bibliographical reference on page 9 of the text inform us that the paper is intended for publication in the Notices of the AMS. [Update, 3/20: I have been informed by the Notices of the AMS that they did not solicit the paper and will not publish it.] In the acknowledgement at the end, the author thanks “other friends and colleagues, too numerous to list here, for their encouragement and inspiration.” Given that we are employed in the same department, and that I often write here about gender, one might ask whether that large number included me. I would like to make it clear that it did not. Had anyone asked for my opinion, I would have discouraged it and, instead, encouraged the Notices to solicit a very different article. I would have told them that such an article needs to be grounded in extensive firsthand knowledge of our practices related to conference organizing in mathematics. For that reason, it should be written by someone–better yet, by a group of authors–with broad experience in organizing conferences and an established record of promoting women and minorities in that context. It is not enough to point to the discrepancy between the gender proportions at the bottom and the top of the pyramid, and fall back on studies of gender bias in other fields for an explanation. It is necessary to diagnose the mechanisms that lead to it, addressing directly and specifically our actual practices. That requires experience and access to information including confidential and protected material. If a recommendation is made, it should first be tested in real-life conference organizing, and the results of such attempts should be analyzed. I would also insist that it should be written by a woman or a team of authors including women, and not only because women have direct knowledge of gender bias that men cannot have. Were the Notices to publish an article on the subject, it is likely that this would be suggested as a resource for prospective conference organizers; I know of at least one such attempt before the paper was even submitted. I do not believe that the article can have the necessary moral authority without a woman’s name on it. Martin starts with, “In the context of mathematics conferences, the subject of gender is somewhat of a taboo. Certainly, bringing up the subject at all during a conference would be deemed outside the norm.” This is not true in my experience. I have organized many conferences. The NSF “broader impact” criteria include “broadening the participation of groups underrepresented in science, mathematics, engineering and technology,” and this carries disproportionate weight in mathematics as other ways of meeting these criteria are rarely available to research mathematicians. Mathematics institutes, in addition to being funded by the NSF and therefore accountable to it, often have their own diversity mandates. The organizers of conferences held under their auspices must report explicitly the number of women speakers and are often asked to increase that number. I have also attended many conferences. I have not found it uncommon, or outside the norm, for the participants to talk about gender-related issues in the space reserved for unstructured interactions. I have had many such conversations myself and have witnessed many more. It is possible that Greg Martin’s experience has been different. He and I rarely attend the same conferences or talk to the same people. But these sentences point to a deeper issue, and not just with this article: the common belief that the gender problem in mathematics could be fixed if we only talked more about it. I disagree. I have said that I witnessed many conversations on gender at mathematics conferences. I did not say that they were all part of the solution. “Bringing up the subject” can mean complaining about the NSF diversity requirements, pointing out this woman or that one who was clearly only invited because of affirmative action, or explaining how we would all gladly invite more women if only they were a little bit better, even as we reassure everyone within hearing range that we totally believe in gender equality. We sure talk about gender. In terms of pure volume, we may be close to the saturation point already. It is not clear that this is helping. There follows a long overview of literature on implicit bias and gender discrimination. None of these studies or findings are new to me. I’ve seen them on many feminist blogs and Twitter feeds, have linked to them and written about them here. Still, there is no shortage of people who are less familiar with the subject, and I will be glad if such a reading list is delivered to the mailbox of every mathematician in America and beyond. That is long overdue. Unfortunately, the original research is problematic. It includes an analysis of the gender make-up of two conferences, the 2014 International Congress of Mathematicians in Seoul and the 2014 Joint Mathematics Meetings of the AMS and the MAA in Baltimore. For both meetings, Martin sets the target benchmark for female participation at 24%, based on the fact that at least 24% of doctoral degrees in mathematics at U.S. institutions were granted to women in each year since 1991. However, the choice to depict Johnson as an opponent to the Voting Rights Act is one that has ramifications for the movie’s argument about how movements work. In this film, presidents like Johnson are shown as obstacles to be overcome. And to me, that’s less interesting and arguably less radical than the story that even a president who’s actively preparing a Voting Rights bill and pushing it through Congress couldn’t get it passed without Selma giving the issue the “fierce urgency of now,” (or without the massive majorities he got in 1964 and would lose in 1966) as Julian Zelizer points out in his new, eponymous book. After all, it’s pretty conventional on the left to say that grassroots activists have to struggle against an uncaring establishment and force it to act – it’s more novel to point out that grassroots activists have to struggle, even with an establishment that’s on their side, and that sometimes the establishment might even seek out grassroots activists to cause a crisis for them to solve. Likewise, I think the point that legislation leads to long-term structural political change, and that winning the election after the march succeeds is a vital part of making sure that the success is lasting, needed more than a mention in the end credits. Selma is excellent and you should see it if you haven’t already*. But I also promised a long time ago that I’d write one more post about Tony Judt’s Postwar, specifically about his treatment of the end of communism in Eastern Europe. This is a perfect opportunity to do that.